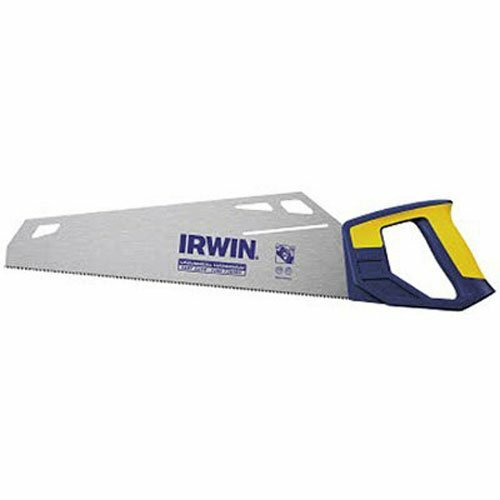 This IRWIN Universal Handsaw features a unique handle-to-blade design and triple-ground teeth to completely eliminate binding and cut up to 3 times faster than traditional handsaws through virtually any material. The universal tooth grind on each handsaw removes material quickly to combine the speed of a coarse-cutting saw with the finish of a fine-cutting saw. A tapered-pitch nose on the blade profile provides improved clearance through materials and adds stability to each stroke, while the thick-body saw blade uses a water-based lacquer coating that helps you deliver fast, controlled cuts. If you have any questions about this product by Irwin Tools, contact us by completing and submitting the form below. If you are looking for a specif part number, please include it with your message.